It’s the Show Issue. 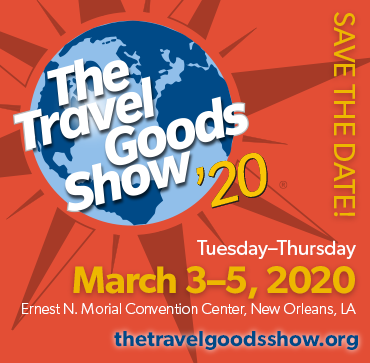 If you picked up Travel Goods Showcase at The Show, welcome to this fabulous event celebrating travel gear and the travel outfitting business. And if you received it in the mail beforehand, consider this a precursor, your guidebook for what’s in store on the exhibit floor in Las Vegas. This issue is a metaphor for The Show itself – a conduit to the future. 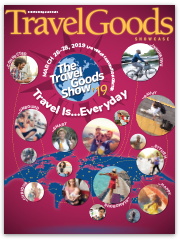 The magazine reveals what you’ll find at the most important industry gathering and networking event before it begins, just as The Show lets you discover this season’s in-demand items before the sales year gets underway. There is no faster way to see all of what’s coming in travel products – not all at once. And in this electronically connected Information Age that’s quite the feat. Coming to The Show puts your boots on the ground. It’s where you can lay your hands on the actual items, delve into things in a way that couldn’t be replicated with the very best virtual reality gear, much less the flat mouse clicks and screen swipes that are the online experience for most of us. Being here at The Show makes a statement about your commitment. It’s putting your dollars and time into something we believe is still important – real presence. That’s something shared by everyone present, exhibitors and attendees alike. If you want to know who’s as deeply committed to this industry as you are, all you have to do is look at who’s here. These are the people who say it’s not enough to email or call, that real interpersonal time still matters. 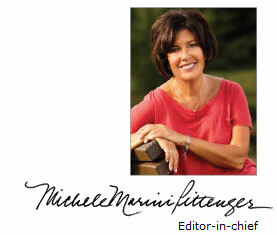 The Show is ostensibly about what’s new – new items, new exhibitors, new product categories. But it’s truly about engagement, being truly present. Attending and exhibiting at The Show is the difference between googling the Roman Colosseum, and actually setting foot in that ancient arena. We travel because the experience matters. And we come to The Show for that same reason. Being at The Show puts you ahead of the curve. And in this world of instant online notification that’s a big advantage, and a declaration of support for the travel goods industry. Thank you. Enjoy this preview of what’s to come at The Show. And what’s to come in travel goods retail in the coming sales year. If you like what you see in this issue, The Show promises to deliver so much more. Let’s see it all together.